Most of the startup founders, I know are very ethical – they hate spamming people. And sometimes, when they even try to spam (to several Y!/G groups etc) they are shot down by the community. But is spamming really bad? The obvious answer is Yes. And the not-so-obvious answer is “It depends“. MySpace used their ResponseBase email marketing list of 100 million+ people to send for first users. Facebook spammed all the Harvard email lists to get the first 2,000 users in a day. Hi5 used their previous dating site to send a considerable amount of traffic to. Bebo used their original site BirthdayAlarm.com to have a huge user base to start with. So, will you really think twice before spamming? 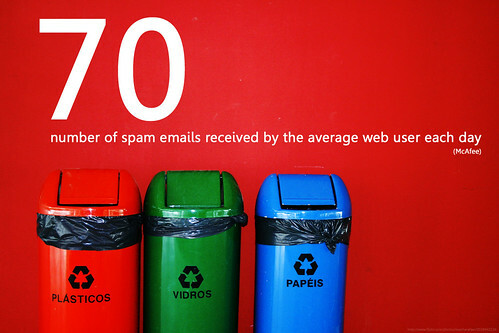 What’s really beneficial about spamming is that if done well, one can attract the not-so-tech-savvy users (who doesn’t care about spamming) and isn’t that your typical user base? Your initial users?